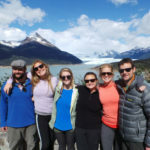 Ideal mainland extension for active travelers, this short but exciting Ecuador trip itinerary includes volcano hiking and mountain biking. For the active and adventurous looking to squeeze in some mainland Ecuador adventure pre- or post-Galapagos, or to simply use as part of a longer Ecuador trip, this is your ticket. Mountain biking and ice hiking help you be a part of volcano country and gets closer to the regions cultures and traditions. After arriving internationally or from the Galapagos explore Quito’s historic old quarter. Mountain bike ride to Incan ruins Pucara de Salitre and atop Cotopaxi Volcano. Enjoy a traditional meal at a hacienda and get to know Ecuadorian cowboys and their lifestyle before zooming down the volcano by bike to Machachi village. Visit a saddle and leather shops before returning to the hacienda for the night. Start hiking at the base of off-the-beaten-path Antisani Volcano. After arriving to the tree line, continue to the edge of a glacier. After being fitted for crampons, ice axes, and being roped up, enjoy some introductory ice hiking atop the glacier. Return to Quito in time for evening international departing flights. 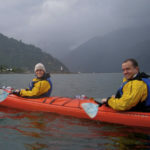 A more active approach to Ecuador’s countryside and ‘Avenue of the Volcanoes’ region, this Ecuador adventure tour is ideal as an active family trip, or for active couples travel. Can be used as a pre- or post-Galapagos adventure or as part of a more complete mainland Ecuador adventure trip. MODERATE TO VIGOROUS TRIP Activities include biking, hiking, ice-walking, cultural opportunities, history, train shopping, wildlife viewing. Upon your arrival to the Quito airport you will be met by a Knowmad Adventures representative and transferred in to Quito where you will check in to the very charming boutique-style Café Cultura Hotel. Enjoy the afternoon exploring Quito’s old town (now a UNESCO World Heritage Monument collectively) and it’s incredible colonial architecture on your own (if you prefer a guided exploration with transport this can be arranged as well). Enjoy a filling breakfast at your hotel before being picked up by your guide. Heading out by van you’ll leave the city and climb into the Ecuadorian countryside and into the famed Avenida de los Volcanes, Ecuador’s volcano country. Enjoy a nice warm up ride to the Incan ruins Pucuara de Salitre. After exploring the ruins climb back on your bikes and ride on to Hacienda El Porvenir on the Cotopaxi Volcano. Enjoy a delicious traditional meal while meeting some chagras (Ecuadorian cowboys) and learning about their traditions. After lunch it’s all downhill as you zip down the volcano to the town of Machachi where you’ll still see chagras on horseback in the town’s streets. Visit a saddle making and other shops in the town known for its leather craftsmen before heading back by van to the hacienda and its sweeping volcano vistas for the evening. Departing Cotopaxi by van you will head to the much lesser known and visited Volcano Antisani. Antisani is home to abundant birdlife as well as a total sense of vast and remote. Hiking up a gentle but steady grade you will emerge at the tree line and continue on for another hour or so reach the edge of a glacier that spills down the volcano. Awaiting you will be an additional guide specialized in ice hiking and the necessary gear. You will be given an introduction to equipment, technique, and safety before gearing up with crampons, ice axes, and ropes. Your guide will lead you on an exciting and surreal walk atop the glacier; an exciting and unique way to be a part of the volcano and Ecuador’s diverse landscapes. After the excursion you will be taken back to Quito in the afternoon. This itinerary works well as an extension to time in the Galapagos and aligns with evening international departing flights. It can also be shuffled to be a great adventure prior to the Galapagos.